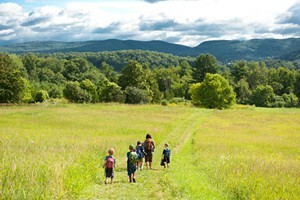 How a Small Vermont Town Built an Ice Rink on a Budget | Habitat | Kids VT - small people, big ideas! Two years ago, the Friends of Woodbury Elementary School — the school's parent-teacher organization — discovered a stash of child-sized ice skates in the school's basement. The find spurred the Friends' desire to build an outdoor ice rink in their tiny town (population 906). Friends president Elizabeth Stratton enthusiastically headed up the project. After asking around town, Stratton discovered Woodbury once had a rink on a flat piece of village property owned by the local Ladies' Auxiliary. 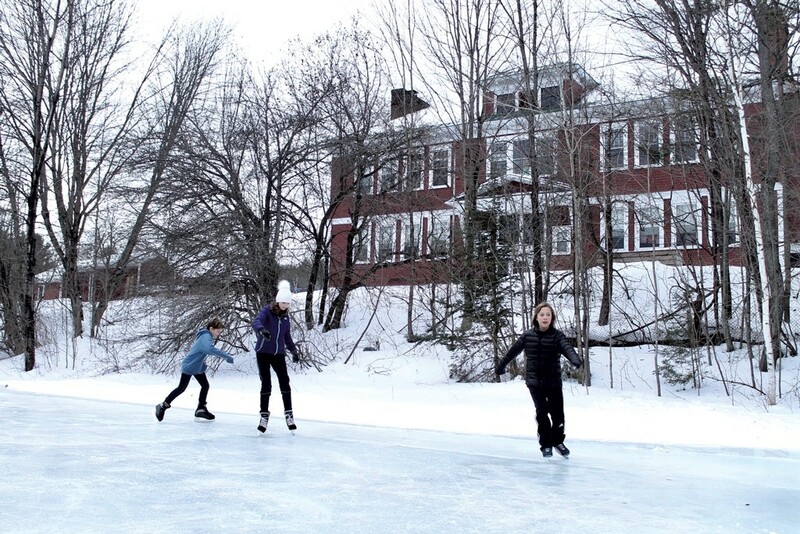 Guided by online research, the group created plans for a 32-by-64 foot ice rink. The Friends received the go-ahead from the Auxiliary, access to the fire department's water and hoses to flood the rink, and the adjacent elementary school's blessing. Volunteers leveled the site with heavy equipment. 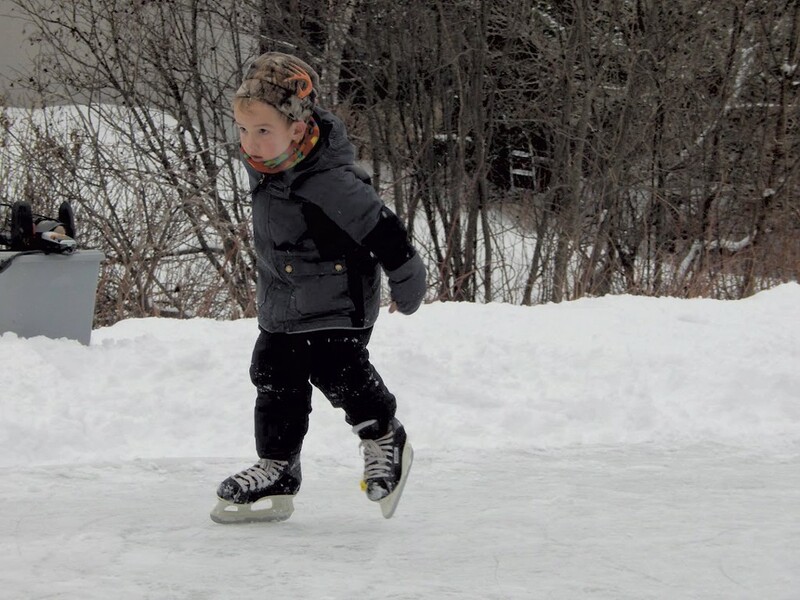 A grant from the Woodbury Fund, a nonprofit supporting town-based projects, enabled organizers to purchase materials — including a plastic liner, pressure-treated lumber for the rink's perimeter and a few shovels and squeegees. A skilled parent hooked up electricity to a nearby pole, providing light for nighttime skating. Early last winter, firefighters flooded the rink. A well-attended community skate night followed, which included donated s'mores fixings, cocoa, hot dogs — and lots of red-cheeked kids. A blazing fire contained in a portable pit kept skaters toasty. While the cold weather lasted, Woodbury Elementary School used the rink for outdoor physical education classes at least once a week, with some students enjoying additional ice time with classroom teachers. Thanks to a $650 Northeast Kingdom Kids on the Move grant, the skates found in the school were sharpened and cleaned, and helmets, new laces and colored labels pairing skates with students were also purchased. In the first year, community members took turns shoveling the rink. This winter, Stratton held a 45-minute training session for volunteers, assigning them specific days to keep the ice clear. 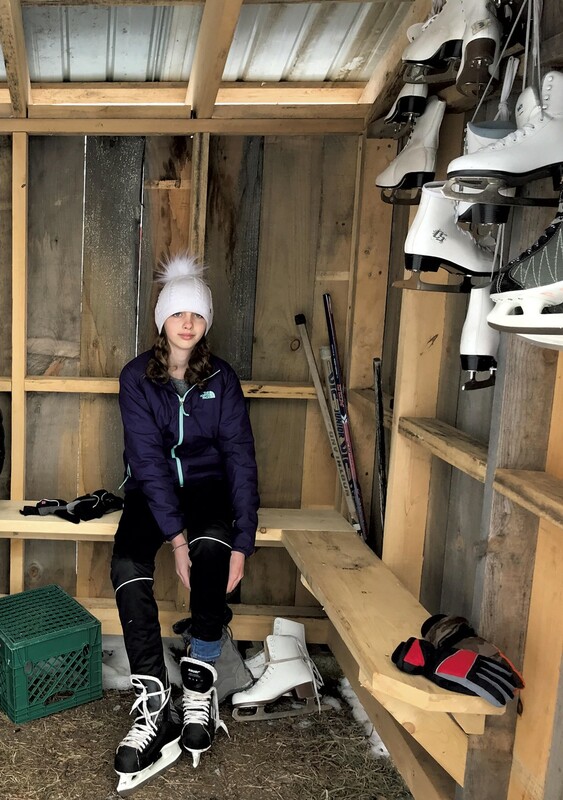 This fall, a few families built a 6-by-8 foot shelter to store community skates and hockey sticks. Future plans include a Hockey 101 clinic for Woodbury kids. Stratton explained the group chose the more labor-intensive, community-oriented option of constructing a rink, rather than purchasing an assembled set-up, and credits the success of this project to numerous people — from the volunteer fire department to retired folks who stopped by to shovel. With no set hours and no fees, this small-town rink is put to good use by a variety of skaters, from solo adult gliders to teenagers playing pick-up hockey. Stratton described a magical evening when she, a friend and a crew of kids joined forces to clear the ice: "With the snow coming down in the streetlight," she said, "it was amazing."